What does doing the impossible really mean? This book is for those who have a desire to achieve greatness and are ready to take the steps to turn that desire into a reality. This is a road map for those who want to do something big with their lives. The book goes over 25 steps that the reader should take to re-create themselves, identify their cause, and make history. 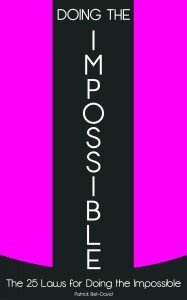 The author Patrick Bet-David shares his own impossible crusade and gives key principles for anyone looking to do the same. Patrick Bet-David has been called a Renaissance man because of his interesting philosophies on politics, sports, history, humor, and life. He has spoken in front of tens of thousands of people on these topics and more. 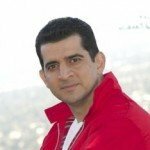 Born and raised in revolutionary Iran, Patrick immigrated to the United States with his family at the age of 12. He served in the U.S. Army before launching his career in the financial services industry. Patrick has published two books, and launched the non-commercial financial education website www.GoAskNewton.com, featuring the world’s smartest dog. He is also a popular blogger via his weekly “2 Minutes with Pat” video blog.